From recycled wood to mixed media, CDI Furniture makes any home unique. From Montreal, the fashion capital of Canada, the design teams of CDI Furniture are known for breaking new ground with the latest in avant-garde home furniture, décor, and lighting. When we got a chance to explore these products at Las Vegas Market this week, well, we just couldn’t resist. 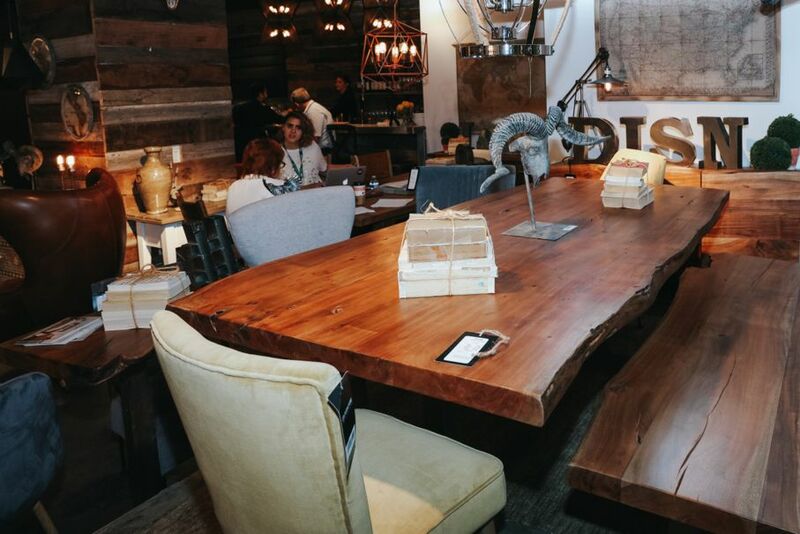 Five years ago, CDI Furniture entered the U.S. market, and from what we saw in Las Vegas, they have earned their place as design shapers here in the States. CDI Furniture really held nothing back but showered the market with its latest and greatest products. For example, 90 percent of the chandeliers on display are the company’s fresh new designs. At Market on Tuesday, House Tipster had an opportunity to speak to three of its representatives about the company’s vision: CEO David Ouaknine, designer Omar Bakir, and Jonathan Malka, product development and marketing director. 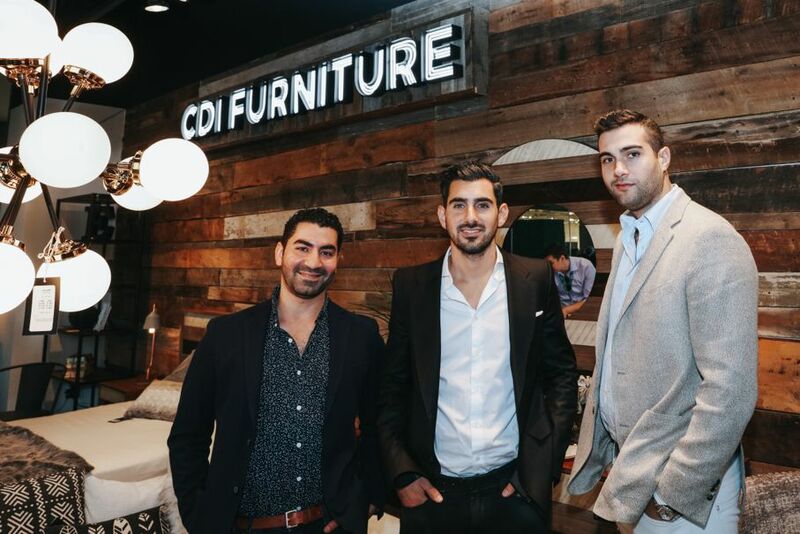 CDI Furniture was one of the first manufacturers to go big with natural wood about three years ago, Malka told House Tipster. “Since then we’ve been riding that wave of using the natural elements of woods to highlight different types of finish, patterns, and textures,” he said. 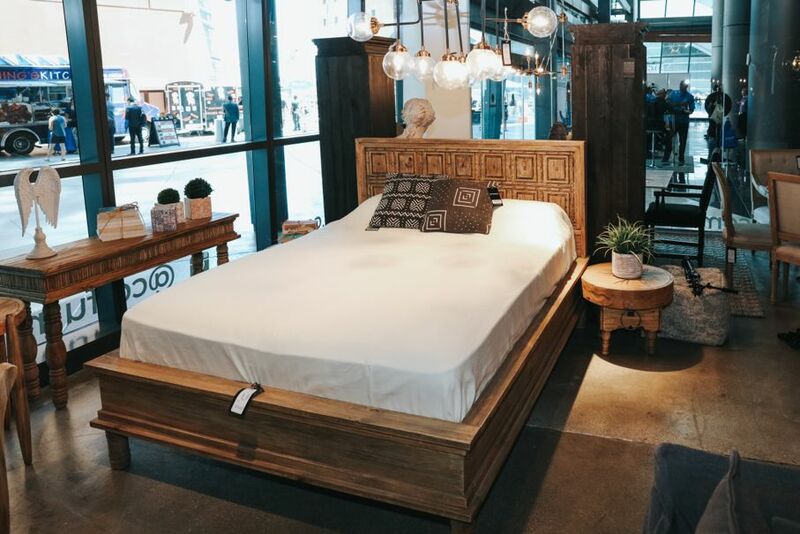 Natural products are quite popular today, which is why we were excited to see CDI’s commitment to creating furniture products of natural wood for its Earth Collection. Woods come from places like Vietnam and India and are sometimes recycled – a very earth-friendly practice indeed. Real wood makes an aesthetic statement, and when teamed up with modern elements like metal chairs, it adds up to a style that’s both rustic and contemporary, as can be seen on the company’s website. 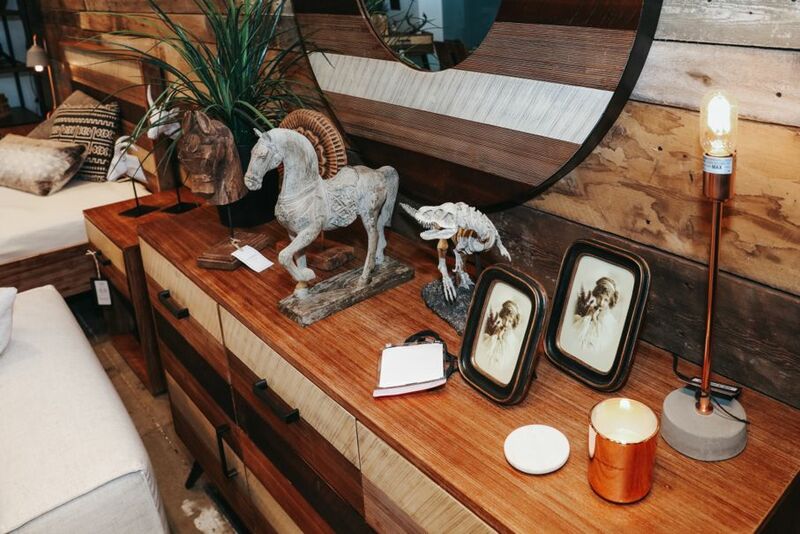 Especially designed for Millennials ages 25 to 25, the Medley Collection on display at Market is a new line featuring the full splendor of wood. We were sold! Ouaknine went on to talk about the company’s specialty, which is being able to mix marble, metal, wood, and all kinds of combinations together for a truly unique effect. Other new products on display here at Market were tribal pillows and cushions, a bone-inlay collection made in India, and lots of new accessories. Ouaknine told House Tipster how CDI Furniture creates products and collections for all demographics. “We have demographics go from very feminine, boho, coastal all the way to masculine and East Coast-oriented. We also produce different collections in different demographics,” he said. He pointed to the Marble Athena Collection, which caters to those 40 to 60 years old, while the Medley Collection was designed with Millennials. Bakir added that besides setting trends with their designs, CDI Furniture makes sure of the basics: affordability and function. After being wowed by the company’s Vegas highlights, we were not surprised to learn that CDI has its own design team and also works in collaboration with very renowned designers, including creatives in the United States. We look forward to seeing what new creations CDI will dream up for future shows.